What better way to mark our final 2018 Planting Up “guest speaker” event than to celebrate creating a kind, resilient and connected community through the power of food? 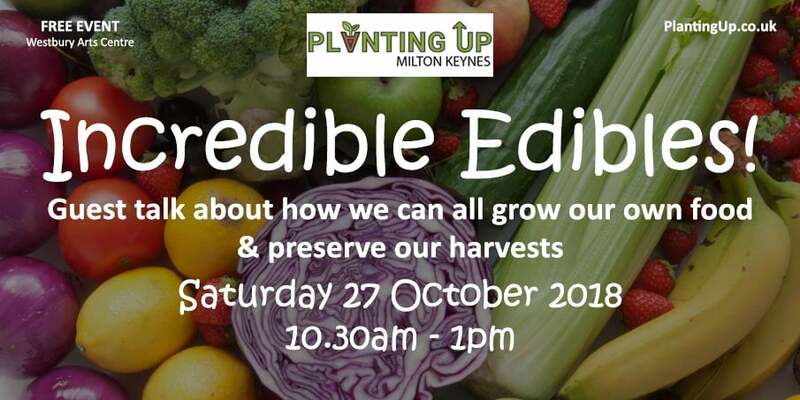 The event will include talks about the Incredible Edibles we can all grow just about anywhere and how to harvest and preserve this fresh produce in tried and tested ways. 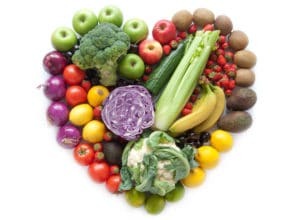 With guest speakers from Incredible Edibles Dunstable, Transition Town MK, Westbury Arts Centre and MK Community Fridge, this free event will provide you with simple solutions for growing, sharing and preserving food. We hope you’ll be as inspired as we are. After all, this is what our Planting Up project is all about! Our community garden at Westbury is being built by us, for us, and our growing volunteer group is creating a social retreat for us to reconnect with our local community as well as with Art, Nature and the Food that we grow there. Our project guarantees to help you create a healthier, happier lifestyle from mucking in, learning new skills and making new friends volunteering on some meaningful work. To join us in making a positive difference with our community garden, email us at info@plantingup.co.uk or click here to sign up to our mailing list to get involved.